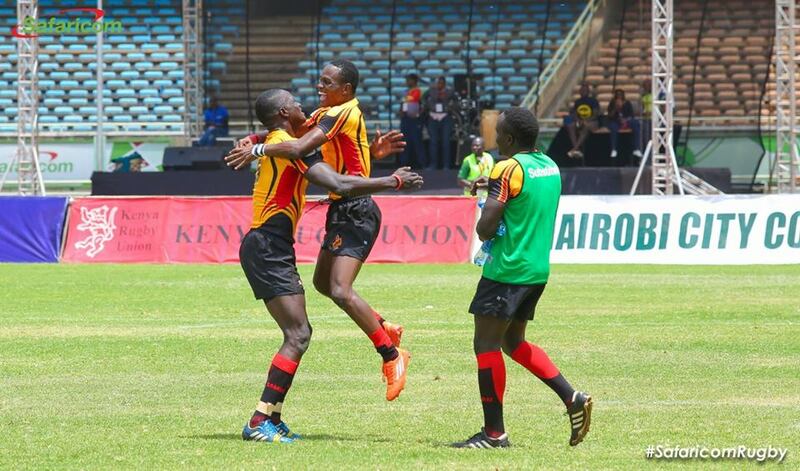 Uganda Rugby Cranes has beaten Namibia 38-19 to clinch the he two-day 2016 Africa Sevens Cup at the Safaricom Stadium, Kasaraniin Nairobi today. The Rugby Cranes on Friday started by stunning last year’s losing finalists Zimbabwe 19-14 and Mauritius on Friday before seeing off hosts Kenya 17-12 on Saturday at noon and eventually fought off favourites Namibia in the final of the 12-team tournament. 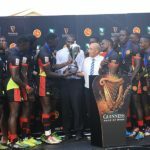 Tolbert Onyango’s team has as result earned a slot on the 2017 HSBC World Rugby 7s Series and will play at the Hong Kong 7s set for April 7-9. 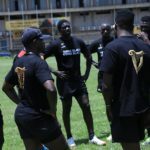 Adrian Kasito, Dennis Etwau, Pius Ogena, Solomon Okia, Al Hadji Manano, R. Govule, Robert Anzugu, Phillip Wokorach, Eric Kasita, (Captain), Kevin Keremundu, James Odong, Lawrence Sebuliba.